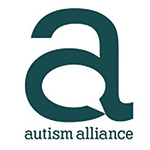 Cheshire Autism Practical Support (ChAPs) support families on the autism spectrum, including Aspergers Syndrome, whether diagnosed or not living in Cheshire. 98% of our activities are FREE if you join as a ChAPS member. We have to make our charity sustainable, so we ask for a monthly membership donation of £5 per family. Come along and meet us and see what we can do to support your family. Helpline phone number: During office hours as above.